If you live in Brantford and are searching for pre-owned vehicles, you should consider visiting Budds’ BMW in Hamilton. Our Hamilton dealership is located just a short distance away, and we proudly serve many Brantford residents. At Budds’ BMW we strongly value community, which is why we do our best to maintain connections with all of our valued clients to ensure that they get the most out of their BMW experience. We love to connect with likeminded individuals who are as passionate about top quality vehicles as we are. Whether you need to have your used BMW vehicle serviced or you’re on the market for pre-owned vehicles in Brantford, we encourage you to connect with our team at Budds’ BMW in Hamilton. We’d love to discuss the inventory of vehicles that we have available to you. We are confident that we can provide you with top quality service and thorough information about the vehicles that we offer in order to ensure that you make the best decision for your lifestyle. Our online gallery will provide Brantford residents with a great idea of the pre-owned vehicles that we carry at our Hamilton dealership. Our website has been designed to give you a stress-free, enjoyable, and informative BMW experience. Once you’ve determined which vehicle best suits your lifestyle and needs with the help of the online “Shopping Assistant” feature, feel free to book an appointment online or call our dealership to meet with our team of customer representatives. From there you can test drive as many vehicles as you’d like to ensure that you make the best decision possible. With such a wide inventory of certified pre-owned vehicles we understand that it can be overwhelming to make a decision. That’s why we encourage you to take your time and test drive as many luxury BMW automobiles as you need to before you make the final decision. We are here to assist you every step of the way. With competitive pricing, low interest rates, and affordable financing and lease programs, Budds’ BMW in Hamilton makes purchasing pre-owned vehicles easier than before for Brantford residents. When you’ve made the decision as to which quality BMW vehicle best suits your needs, feel free to make an appointment with one of our financial advisors to determine which financing or lease program would best suit your lifestyle. We will help you get behind the wheel of your dream car without you having to worry about compromising other areas of your life. You can determine the amount of your down payment, and from there we’ll guide you about payment plans. 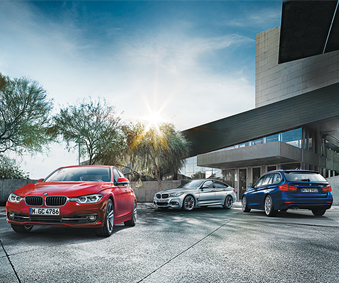 We are here to make your BMW experience a memorable one. Call us today for any questions you may have about our selection of pre-owned vehicles available to Brantford residents, or for more information about our financial assistance programs.